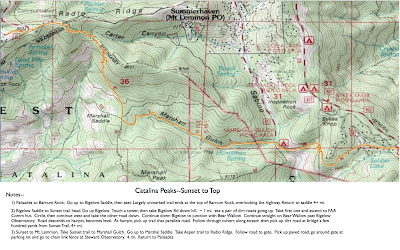 The Catalina Peaks route was designed to work along the ridge lines of Bigelow and Lemmon. 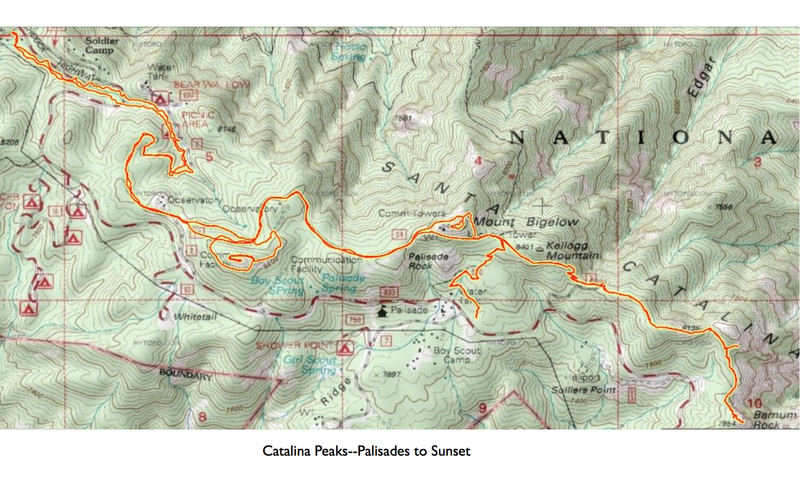 Trailhead: The route starts at the Bigelow trail head at the rest room parking lot just before Palisades Visitor's Center on the north side of the highway. 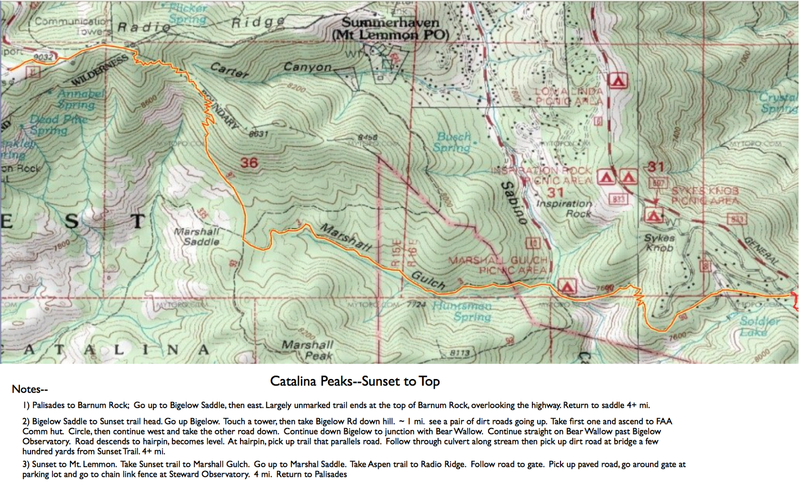 Route: It goes to Bigelow Saddle, then east to Barnum Rock. From there, return to Bigelow Saddle. Go up and touch the Bigelow Fire Lookout. Then take Bigelow Road downhill with a loop up around the FAA communications facility. Pick up Bear Wallow Road, then down at the hairpin, pick up the trail. Take that through the culvert, along a stream, then pick up a dirt road that crosses an old wooden bridge and comes out at the Sunset Trail parking lot. Take Sunset to Marshall Gulch, then go up to Marshall Saddle. There pick up Aspen Trail to Radio Ridge. Follow the road to the paved road, then take that paved road a short distance to the chain link fence surrounding the Steward Observatory facilities. Here are close-ups of the 2 segments of the run. The second one has the notes for the route.